Messy & Quick Notes. BAM! You have a suitable dirt bike and want to play in the winter. You don’t have a sled, or a bike, but you already know this is awesome. You just gotta get into this. You ride snowmobiles, or used to. You may…Envy the terrain that snowbikers slay without a bead of sweat. You may…Feel that sledding is really hard to do well. Lots of skill, strength, and endurance required. You may…Feel that you are too old for lugging around a huge sled, getting unstuck, etc. 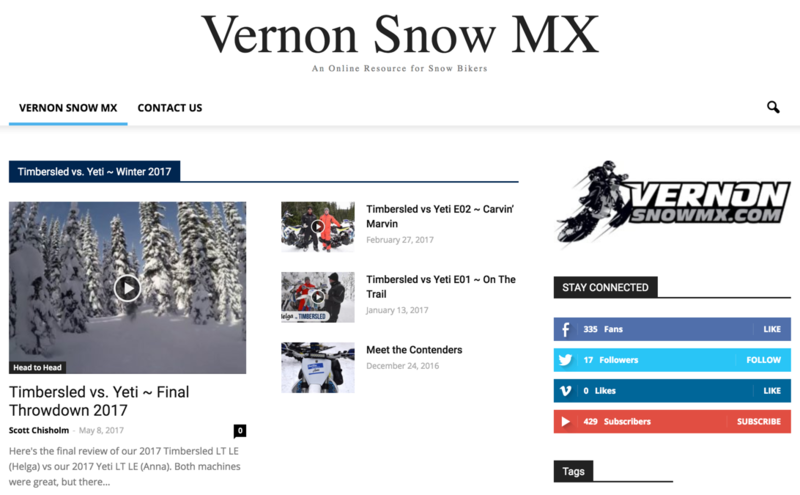 50 and 60 year old Snowbikers are one of the fastest growing segments. You can, and should, do this. Snowbiking is whatever you want it to be. To make dirt bike analogies you could be adventure touring, riding enduro, or hitting massive jumps. Curious yet? Come in for a chat. Bigger is better. Here are the most common selections. A 500 cc 4 Stroke is the easiest bike to learn on. Massive low end grunt allows for some forgiveness. Some are even street legal for summer time fun! A 450 cc 4 Stroke is the typical high performance bike. The 450s have power and often rev a fair bit higher. There is, however, a more rider involvement required as these bikes will stall easier at slow speed. You can do a 300 cc 2 Stroke, or 350 cc 4 Stroke, and do very well, you just need to ride them a bit harder. There are all kinds of other bikes that can have track kits strapped to them. These are just the most common starting points. You may see us in some of their videos, but we’ll deny it. What Track Kits are Best? 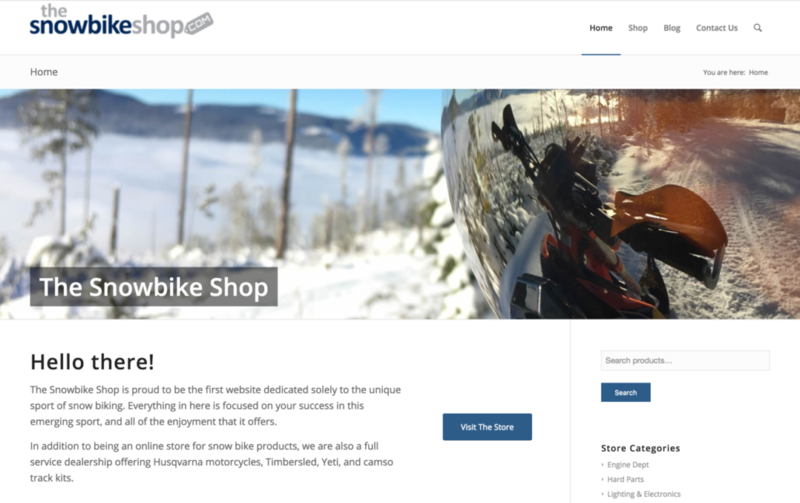 The snowbiking world is exploding with possibilities and new manufacturers. Exciting times indeed! We have sizable experience with the 3 front runners. Here are their names and some quick notes about each. Timbersled > Great high performance kits. Durable. Multiple options available. We like these guys. Yeti Snow MX > Newer with smaller market share. Very slick track kits. Lighter and more efficient. Super fast. We love these guys too! Camso > Great price point. These are not as fancy as the Timbersled or Yeti kits, but they have proven to be a great entry point into the snowbiking market. We’ve left out other kits from our quick notes above only because we have no personal experiences to share at this time. We are early adopters of this whole Snowbike “thing”. We love this emerging sport! Check out our dedicated website and online store!